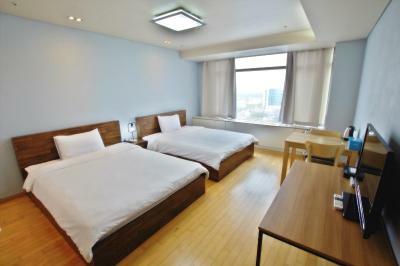 Lock in a great price for Incheon Airport Guesthouse – rated 8.4 by recent guests! Spacious and all are provided. Strongly recommend especially those came late at night at the airport. Super convenient location to get food and be able to rest after getting delayed a day in Seoul. 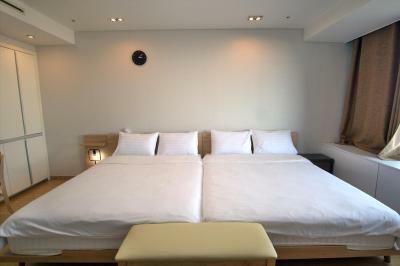 I will definitely stay here again while traveling. Very friendly staff. Free shuttle too and from the airport. Very convenient location. 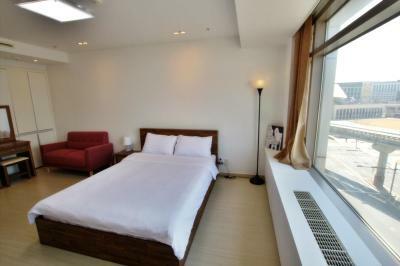 Great size room! 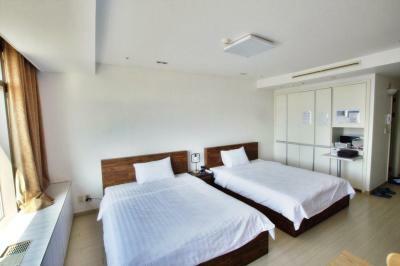 Location - best when need to be next to airport. Clean and comfort. 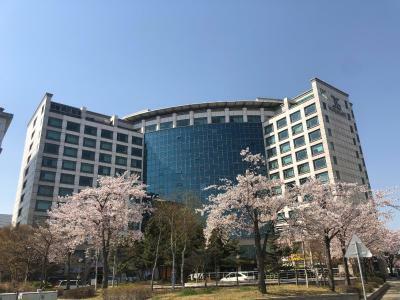 After a long flight it was great to have a worry free and friendly pickup by the guesthouse from the airport- all you have to do is contact them at least a day in advance. 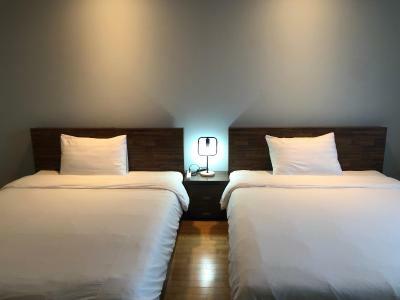 The location of the guesthouse is in a cool apartment block with chill local restaurants and decent stores all at ground floor of the building. Perfect for a layover, especially if you have an early flight. The airport pickup was great, they arrived within a few minutes of my call. 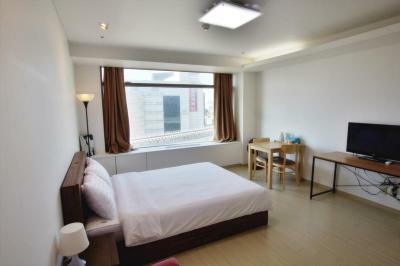 The studio was spacious and well-equipped. 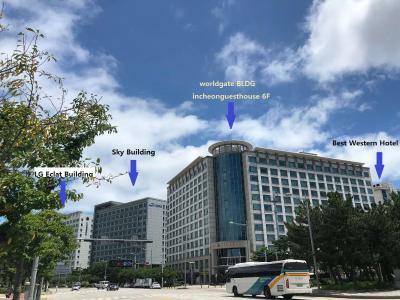 There are shops and restaurants in the building, and the free airport shuttle stops across the street. 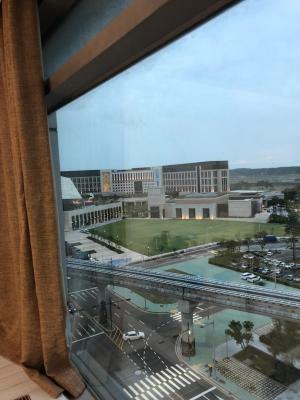 The location, very close to Incheon Airport, was most convenient, especially given the fact that I had to catch an early-morning flight. I was very pleased with the large size of the room and the fact it included a small kitchen area, which I was not expecting. It was not equipped with very much but I was not expecting one so it was a bonus. It was useful to have shops and a restaurant in the building. I also appreciated that the establishment ran a minibus service to the airport and, if need be, could pick people up from the airport as well. 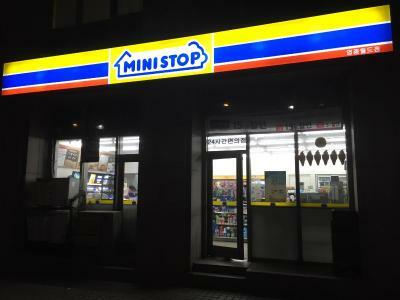 One of our best sellers in Incheon! 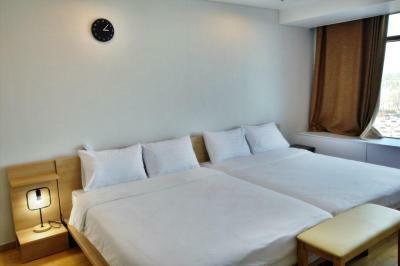 Incheon Airport Guest house features rooms in Incheon. 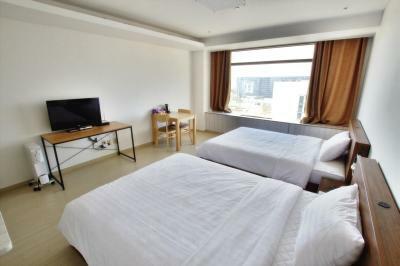 Located around 7.5 mi from Eurwangri Beach, the guest house with free WiFi is also 17 mi away from Incheon Asian Game Main Stadium. Staff on site can arrange airport transfers. 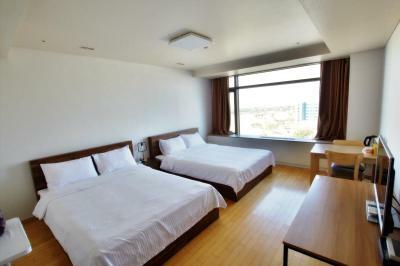 All units are fitted with air conditioning, a microwave, a fridge, a kettle, a shower, free toiletries and a desk. 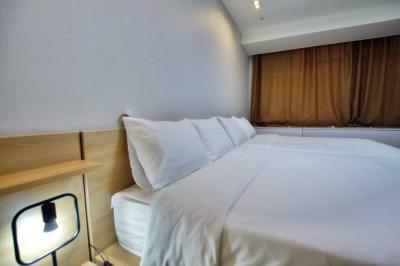 Each room includes a private bathroom, while some feature a sea view. 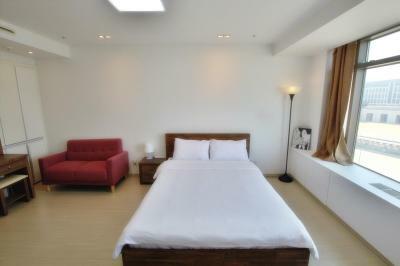 At the guest house all rooms include a flat-screen TV with satellite channels. Guests can grab a bite to eat in the in-house restaurant, which specializes in Australian cuisine. 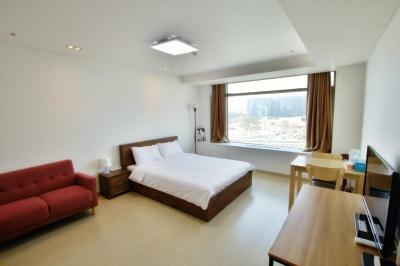 Songdo Convensia is 17 mi from Incheon Airport Guest house. 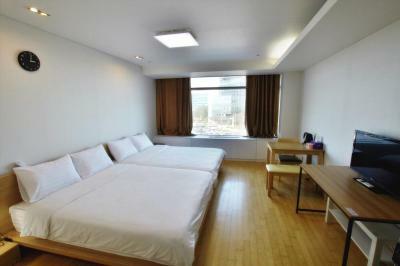 When would you like to stay at Incheon Airport Guesthouse? 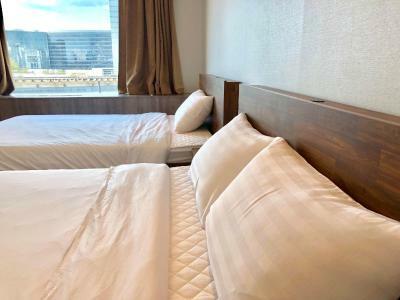 Area Info – This neighborhood is a great choice for travelers interested in convenient public transportation, budget-friendly traveling and friendly locals – Check location Excellent location – show map Guests loved walking around the neighborhood! 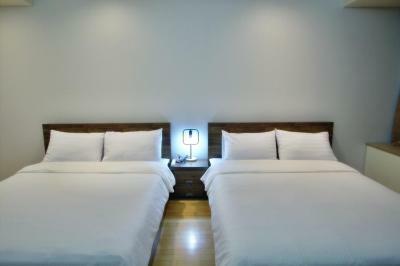 House Rules Incheon Airport Guesthouse takes special requests – add in the next step! Incheon Airport Guesthouse accepts these cards and reserves the right to temporarily hold an amount prior to arrival. 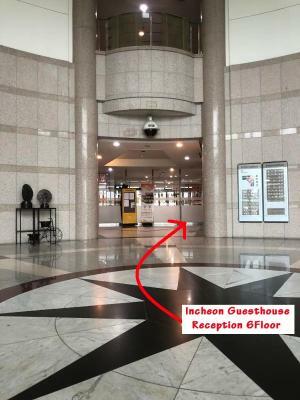 Please inform Incheon Airport Guesthouse of your expected arrival time in advance. You can use the Special Requests box when booking, or contact the property directly using the contact details in your confirmation. The shower had some rust. Everything else was great. Location, staff, facilities, restaurants, services, and the room was awesome. 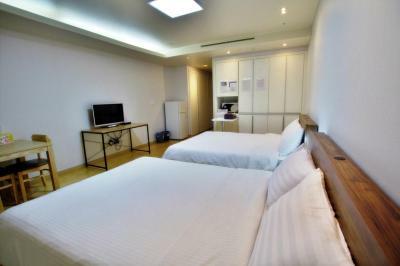 Great location with fast pick-up from Airport. Stores and Fried Chicken restaurant in the lobby were fantastic. 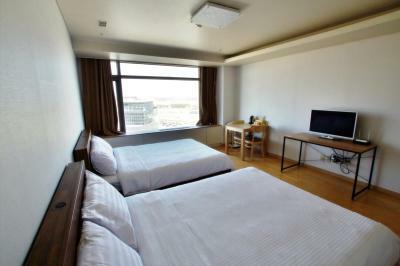 Comfy aparthotel. This is legit BARE BONES. Empty hotel room with a bed and a TV. Small bathroom. For the price, you can probably find accommodations with a few more amenities. Some areas of the room, tops of fridge and and counters a little dusty. Light in bathroom very dim. 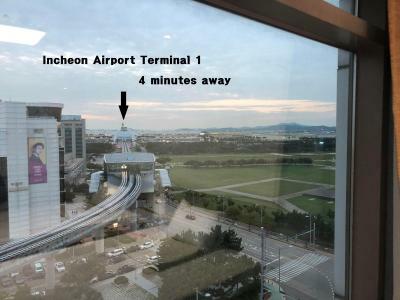 Location close to Incheon terminal one. Had early morning flight so it was good to get there the night before. 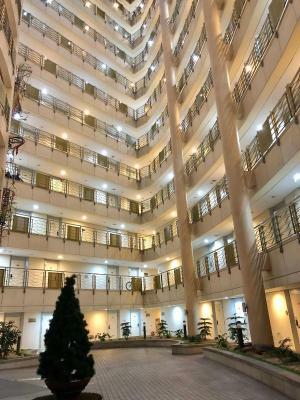 Good customer service with free shuttle from airport to guesthouse and back the next morning to catch flight. 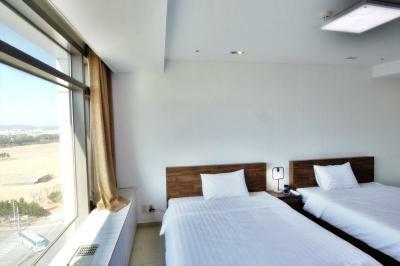 Big room with all basic amenities. Not too many amenities . Our driver was courteous and helpful. Shower booth can be improved. Very close to the terminal 1. Staff was helpful. Lots of restaurants on 1st floor of the building. 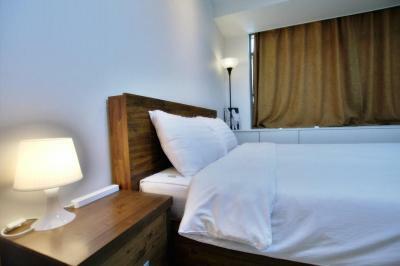 Beds and pillows are very hard, but does the job for an over night stay. The toilet seat is placed very close to the shower door, so it’s hard to sit properly. 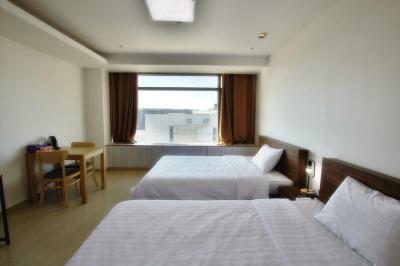 Near from airport and big room.